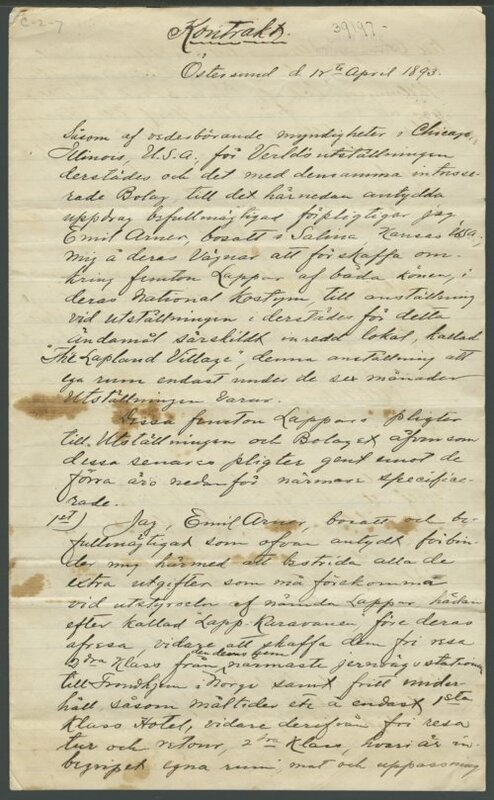 This is a contract, written in Swedish, by representatives of Lapland (the Sami people) allowing them to exhibit and perform at the World's Columbian Exposition in 1893 held in Chicago, Illinois. Patrick H. Coney, a Topeka native, was the Exposition's manager. One of the people signing the contract was Emil Arner, who may have been from Salina, Kansas. See also Kansas Memory item 318789.